Gabon enjoys a per capita income four times that of most sub-Saharan African nations, but because of high income inequality, a large proportion of the population remains poor. 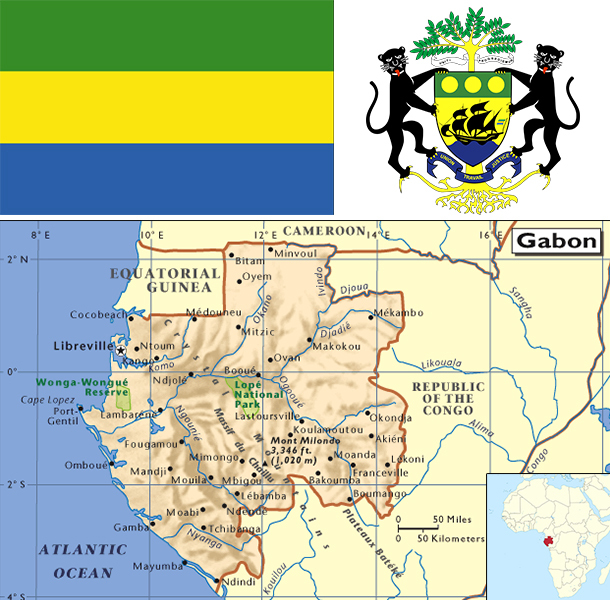 Gabon depended on timber and manganese until oil was discovered offshore in the early 1970s. The economy was reliant on oil for about 50% of its GDP, about 70% of revenues, and 87% of goods exports for 2010, although some fields have passed their peak production. A rebound of oil prices from 1999 to 2013 helped growth, but declining production has hampered Gabon from fully realizing potential gains. Gabon signed a 14-month Stand-By Arrangement with the IMF in May 2007, and later that year issued a $1 billion sovereign bond to buy back a sizable portion of its Paris Club debt. Gabon continues to face fluctuating prices for its oil, timber, and manganese exports. Despite the abundance of natural wealth, poor fiscal management has stifled the economy. However, President BONGO has made efforts to increase transparency and is taking steps to make Gabon a more attractive investment destination to diversify the economy. BONGO has attempted to boost growth by increasing government investment in human resources and infrastructure. GDP grew nearly 6% per year over the 2010-14 period.